Hire an Expert Motorcycle Accident Attorney Los Angeles, CA. Motorcycle accidents are never planned and when they do happen, they are accompanied by severe injuries and damages that might run into hundreds of thousands of dollars. As a victim, you can make claims and be sure of compensation. However, you have to let the law take its course if you are to come off with any amount of success. 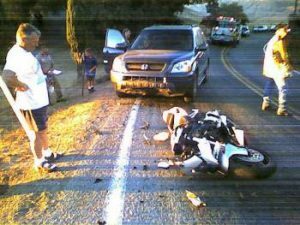 This is why you shouldn’t hesitate in hiring the services of an experienced motorcycle accident attorney and promptly too. If you are in the city of Los Angeles, CA and will want to get an expert motorcycle accident attorney, then you need not go farther than Rawa Law Group. Rawa Law Group is an outstanding legal firm that has more than 55 years of combined experience in the area of solving motorcycle accident cases. We boast of having some of the best accident lawyers in all of California and this is quite evident in the number of people we have helped gain maximum settlement on their accident claims in the past. Not only do we offer first class services, we also do offer an unbeatable advantage to our clients. We offer free case evaluation and that means zero upfront cost to you. You also do not need to worry about payment because we only receive that after winning your case. Your appointment hours with us are very flexible and we have our attorneys available to make hospital or home visits if need be. We also ensure that you are actively involved while treating your case by keeping you informed of the details from the start to the finish while also giving logical legal advice with no concealed charges. Motorcyclists experience thrills and threats that other motorists on the road do not face. While motorcycles offer freedom and exhilaration, they are also far more dangerous than other vehicles. Over 80% of motorcycle accidents result in injury or death, and more than 4,500 motorcyclists are killed in traffic collisions every year. Motorcycle accident injuries tend to be serious, often leading to head trauma and traumatic brain injury. California has more licensed motorcyclists than any other state and the greatest number of motorcycle accidents. If you or someone you love has been hurt in a motorcycle accident due to someone else’s recklessness or negligence, a Los Angeles Motorcycle Accident Attorney can help you seek fair compensation from the responsible party. 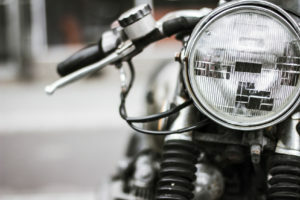 What Causes Motorcycle Accidents in Los Angeles? Even the safest motorcyclist can get into a serious accident due to factors outside their control. The following are the most common factors in most motorcycle accidents in California. Lane SplittingCalifornia law allows lane splitting, or driving between two lanes of stopped or slow traffic. Despite being legal, lane splitting is very dangerous because other drivers do not expect anyone to be between lanes and there is little distance between vehicles. Alcohol and Speeding About half of motorcycle accidents involving a single bike are caused by alcohol or speeding. Speeding and alcohol-related accidents often have high fatality and injury rates as well. Vehicle Turning Left More than 40% of motorcycle accidents involve a vehicle that is making a left-hand turn when it strikes the motorcycle. These accidents usually happen at intersections or when the motorcyclist is trying to overtake a vehicle. The vehicle that hits the motorcyclist is usually at fault for these accidents, but a motorcyclist may share liability if he or she was driving in the wrong lane or speeding. Road Hazards Motorcycles are not as stable as a passenger vehicle and they are more vulnerable to road hazards like gravel, slick pavement, and potholes. Performance Bikes Sport and supersport motorcycles account for a disproportionate amount of motorcycle accidents in California. These bikes, which can reach speeds of 160 mph, are more difficult to control and they are usually driven by drivers under 30 with less motorcycle experience. Contact a Los Angeles Motorcycle Accident Attorney If you have been seriously injured in a motorcycle accident, do not speak with the insurance company without talking to a personal injury attorney. The insurance company’s job is not protecting your best interests, and you may be offered a settlement that will not cover your medical bills and other damages. Contact Rawa Law Group for a free consultation with a motorcycle accident injury lawyer in Los Angeles to protect your rights and get help pursuing fair compensation for your injuries. You can hire an expert motorcycle accident attorney Los Angeles, CA, by reaching us at the following address.